Here is our half-page ad from the March 20 Lamorinda Weekly. 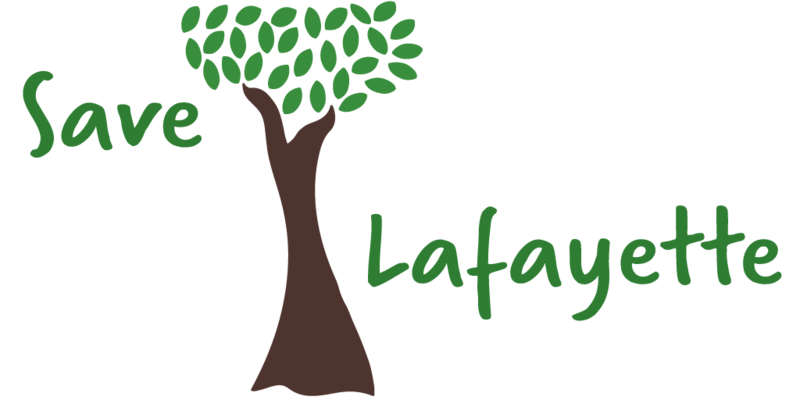 It is intended to inform voters of activities which are important to the quality of life in Lafayette. There is a forty five day moratorium, starting June 13, that suspends city council approval of any development inconsistent with the General Plan, which is for a maximum of 2 homes per acre. This will give the city time to rezone the Deer Hill site to match the General Plan, as ordered by the Appeals Court in February, after the city illegally tried to deny citizens the right to vote on the project. At the special council meeting on Wednesday June 13, the city attorney tried to include an exception to the 45 day-moratorium, which would have made the Terraces exempt from the moratorium. Ivor Samson strongly objected to the exception; Mike Anderson and Cam Burks agreed to exclude the exception; Don Tatzin argued for about an hour to allow the exception but finally gave in. The O’Brien Land Company funded the Yes on Measure L campaign because the 44 homes are what they know how to build, what they wanted to build and maximize their profits. The Opportunities and Constraints analysis in 2006, together with the average slope calculation in 2008, showed 14 homes as maximum for the property. The site rezone will be considered first by the Planning Commission before it makes its recommendations to the city council. Three options are likely to be reviewed – R20, R40 and R65 (see definitions below) – at the Planning Commission’s next meeting, Monday June 25 from 7:00 PM-11:00 PM at the Lafayette Parks & Recreation Sequoia Room, 500 St. Mary’s Road, Lafayette. The city council will take up this matter at a later date. LR-5 (1 house per 5 acres) was the zoning approved by the city council in 2010 for 4 houses. Open Space is another possibility. The Housing Accountability Act authorizes the city to deny the apartments application because of any or all of the five significant, unavoidable public health and safety impacts identified in the apartments EIR and certified by the city council in 2013. If the city moves promptly and brings the zoning into conformance with the General Plan, that will create an additional ground for denial of the apartments project. Devra Davis, who was a Lead Author of chapters of the Intergovernmental Panel on Climate Change—the group awarded the Nobel Peace Prize with Al Gore in 2007, recently sent a letter to the Lafayette City Council regarding the proposed sports field. The reported conclusion of increased PM 2.5 of 0.44 micrograms/M3 is extremely low and does not appear reliable for a location with vehicle traffic reportedly of 12,000, 36,000, and 185,000 per day on the north, east, and south- this figure should have been verified and compared with on site or available offsite PM 2.5 monitoring data. Further, there is no analysis for asthma or diminished lung capacity. In particular, to the extent the report assumes that high intensity children’s activities for 2 hours per day is safe in this environment, no medical or regulatory authority is cited; to the contrary, available international and U.S. medical studies contradict this conclusion. It is unfortunate that the discussion has been framed as one of debating or awaiting proof of harm to our children, before taking steps to prevent exposing them to conditions that have been established in extensive studies to place them at risk. The idea that you would put a field for children to play in an area where the adjacent residences are required to have filters for the air inside the house, and warnings to residents of exposure to particulate matter if the windows are opened, is one of the most unwise and imprudent instances of urban planning I have ever encountered. Recently, the City Attorney provided misleading guidance regarding the previously proposed Terraces project and if it could be resurrected if Measure L is defeated. Our attorney responded to that letter (previously discussed here). On 5/14 she provided an updated summary, but there were no substantial differences and all of the errors in reasoning for the previous summary still remained. Supporters of the “Homes at Deer Hill” proposal attempt to scare voters into believing that a “No” vote on Proposition L will result in the Terraces project with 315 apartments on the sensitive parcel between Deer Hill Road, Pleasant Hill Road and Highway 24. The truth, however, is that the apartment project has never been approved; and it would face the same extreme obstacles as before if the developer elects to resurrect it — including but not limited to the People’s referendum power.